Former World Anti-Doping Agency (WADA) deputy director general Rob Koehler has been named director general of the athlete-led movement called "Global Athlete". Olympic cycling gold medallist Callum Skinner will be the lead athlete on the group, it was announced today. Global Athlete claims to be independent of National Anti-Doping Organisations, sport and Government and is largely being funded by non-profit FairSport. The organisation said it would "to inspire and lead positive change across the world of sport and to balance the power between athletes and sports administrators". It is not clear whether the Athletes' Commissions at WADA and the International Olympic Committee (IOC) were consulted regarding the new group. 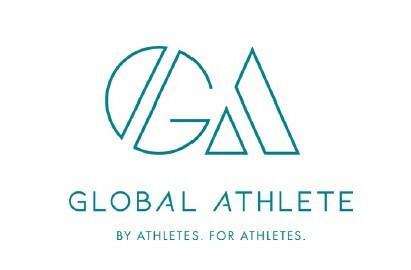 The launch of Global Athlete comes after predominantly Western athletes criticised WADA for reinstating the Russian Anti-Doping Agency in September and called for increased representation in decision-making. It also follows the US Gymnastics scandal, where a host of athletes revealed they had been subjected to sexual abuse by then team doctor Larry Nassar. Skinner, who won gold for Britain in the team sprint at the 2016 Olympic Games in Rio de Janeiro, said the body would not just focus on doping matters and would also tackle issues such as "athlete welfare, harassment and ensuring that athletes receive some Olympic revenues or prize money". "Athletes’ voices should not be suppressed or manipulated to further personal aims," said Skinner. "It’s time for the athlete voice to be embraced and empowered. "It’s 2019, and, frankly speaking, sports governance lags far behind other sectors of society in terms of engaging their constituents. "As we’ve seen of late, athletes care deeply about how their sport is run, and they want an opportunity to provide input and to help shape sport’s future." Koehler, who suddenly quit his position as deputy director general at WADA in August, said he would lead a "listening exercise" with athletes from across the world in the coming months to "understand what changes they want to see in sport". "For too many years, athletes have been sidelined when speaking up - the fear of retribution must stop," he said. "Athletes are the ones that fill the stadiums and attract TV viewership and sponsors; so surely it is only right that they become a part of developing the sport that they want. "I’m confident that following this listening exercise over the coming months, we will have a clear idea of the changes athletes want to see and how we will approach and secure that change." The organisation is expected to work alongside existing athlete bodies, such as the Commissions at both the IOC and WADA, but claims it will give an equal voice to all athletes. A process led by the WADA Athlete Committee, chaired by Beckie Scott, is already underway to determine how competitors can be given a better say in decision-making. It came after a governance reform package did not include adding additional athletes onto the Foundation Board and Executive Committee. Athletes have been told by WADA to come together and devise proposals to address concerns that they are being ignored. The general topic of athlete representation is expected to be discussed at an IOC International Athletes Forum in April.